Telling someone they’ve been poisoned in ways that could reshape their DNA and be carried on to their descendants — possibly causing cancer, neurological illness, mental deficiency, birth defects, brain damage and death — isn’t easy. But that’s Michael Stanley-Jones’ job. As public information officer for the United Nations Environment Programme, he’s tasked with engaging the public with initiatives established during the Basel, Stockholm and Rotterdam conventions. While not exactly breakfast-table topics, those gatherings saw world leaders convene to address the dangers of synthetic petrochemicals that saturate our air, soil and water, including the meat and plants we eat. The World Health Organization reported last year that more than 5 million deaths from exposure to chemicals occur annually — more than 8 percent of all deaths — and most are among children 15 and younger. The United Nations Environment Programme is charged by the conventions with achieving sound management of chemicals and reducing child mortality. The challenge in bringing those weighty and complex topics to life for an often-apathetic world is to make the information delivery memorable without frightening people. In an effort to move from the tediously bureaucratic and slow-to-move talks among nations, Safe Planet showcases the films Silent Snow, Submission (or Underkastelsen in its original Swedish) and Body Burden, all of which detail the degree to which unnatural chemicals are accumulating inside us. In Body Burden, for example, organizers recruited celebrities such as actor Ed Begley Jr. and Olympic gold medal skier Stine Hattestad to undergo blood analysis and share their results and personal reactions. Reining in these chemicals will require public support, and the public needs to understand the problem and potential solutions before they’ll be motivated to push industry and government regulators to implement protective measures. Michael Stanley-Jones is tasked with bringing the work of three conventions to life. What is a “convention” and what did these three – Basel, Rotterdam and Stockholm – do? A convention, in this case, is really a treaty where much of the language is hammered out in a series of meetings that take place in the city that ultimately gives the document its name. After reams of data, most of it scientific or economic, is presented, negotiations begin and countries essentially sign contracts outlining what they agree to do about the convention’s subject issue. As nations start signing on, the convention bureaucracy tends to live on as a clearinghouse for pertinent information and for ensuring countries live up to their promises. As Safe Planet demonstrates, because the three conventions cover similar ground, much of their work is done jointly. The Basel Convention on the Control of Transboundary Movements of Hazardous Wastes and Their Disposal, or the Basel Convention, was signed in 1989 and became effective in 1992. Its roots lie in the “toxic trading” of the 1980s, when developed countries sent their toxic waste to less-developed nations. The convention currently has 73 participating countries; the United States has signed the treaty but the U.S. Senate has not ratified it. The Rotterdam Convention on the Prior Informed Consent Procedure for Certain Hazardous Chemicals and Pesticides in International Trade, or the Rotterdam Convention, was signed in 1998 and went into effect in 2004. It regulates the international trade in hazardous chemicals. The convention currently has 51 participating countries. The Stockholm Convention on Persistent Organic Pollutants, or Stockholm Convention, controls "chemical substances that persist in the environment, bio-accumulate through the food web, and pose a risk of causing adverse effects to human health and the environment," as the UN Environmental Programme explains. The convention was signed in 2001 and went into effect in 2004. One hundred fifty nations are participating; the United States has signed the convention but not ratified it. One leg of sustainability calls for industry to take greater responsibility for the health and safety of products. Changing the mindset of big business that requires sacrificing potential profits is a challenge. As Stanley-Jones points out, some positive movement is happening, as chemical companies explore green chemistry solutions and governments tighten regulations. Europe instituted Registration, Evaluation, Authorization and Restriction of Chemicals regulation in 2007, which takes a tough stance on production and use of dangerous chemicals by applying the precautionary principle, requiring that chemicals be proven safe before they’re allowed to be used. 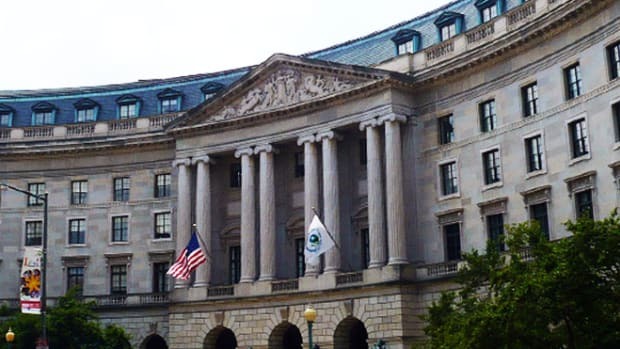 In the U.S., the rule is the opposite; chemicals are allowed into production until they are proven unsafe, which can be a long and litigious process, even when anecdotal evidence seems clear, although the U.S. Environmental Protection Agency is taking a stronger stance toward regulation under the Obama administration. Safe Planet has held more than 40 events worldwide since it launched a year and a half ago. The team uses social media to reach high-school and college students, offering film screenings, art contests and other events that appeal to cultural interests. Alvarez says she’s talked with many young women after the film screenings who want to know what they can do to protect themselves and their ability to have healthy children. “It can be disturbing to learn about chemicals being passed down from mother to child in the womb,” she said. “Hazardous chemicals and wastes threaten all that we hold dear to us, both as humans and in the environment: living long, healthy lives, human achievement, performance and intelligence and the right to know what is good for us and what is harmful. Safe Planet wants to leave behind working partners who will continue to reach out to their communities, spreading information and mobilizing support for reforms in chemical policy and practice. “People care about their own health and the health of their families,” Alvarez said. “Many care about the health of the planet, and work hard to preserve endangered species and protect animals from harm. Hopefully, we will live with less and less exposure to hazardous chemicals, lead healthier lives, cut the incidence of child mortality and morbidity caused by toxic exposures, encourage a greener economy with more sustainable forms of production and consumption, and sound management of what we leave behind for the next generation.